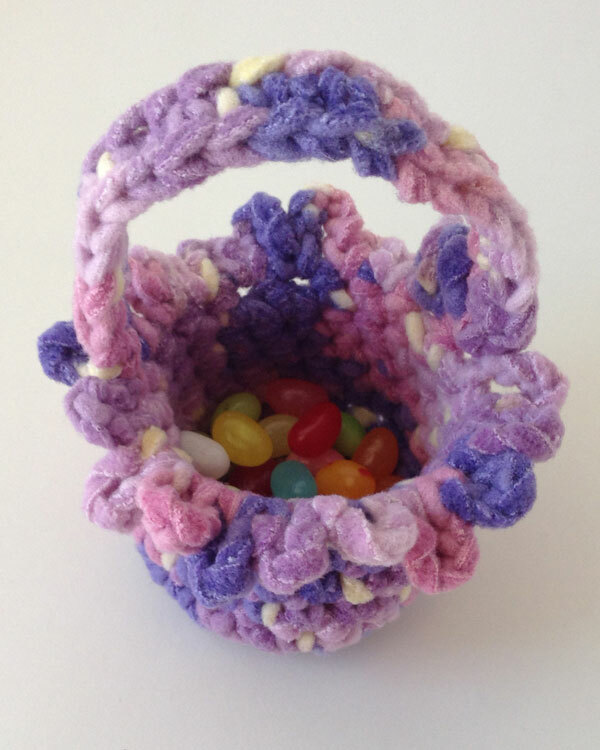 Those baskets were so cute we decided to make our own version and share it with you. 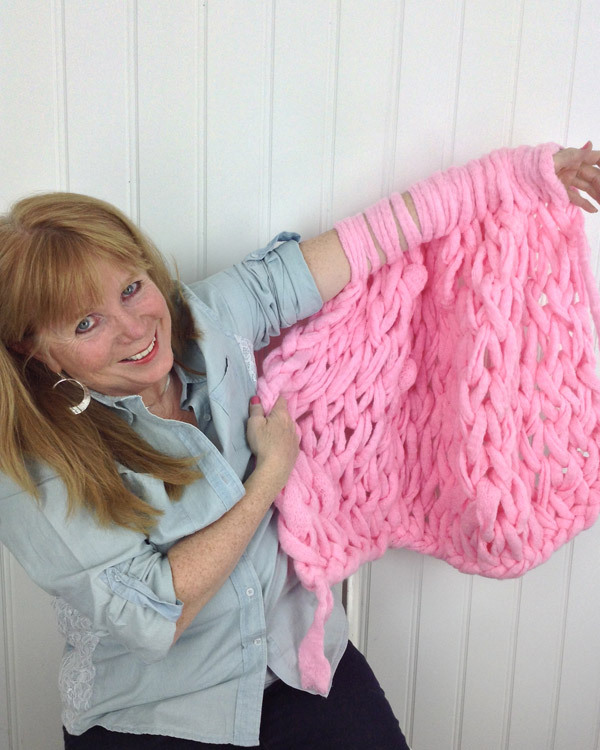 Cuddle Fleece and Serenity Chunky are both perfect yarns for this project, and both yarns come in several colors and multis that are great for spring and Easter projects. Isn’t this cute? We love it! Notice the nice chained edges on the handle? Want to learn how it’s done? 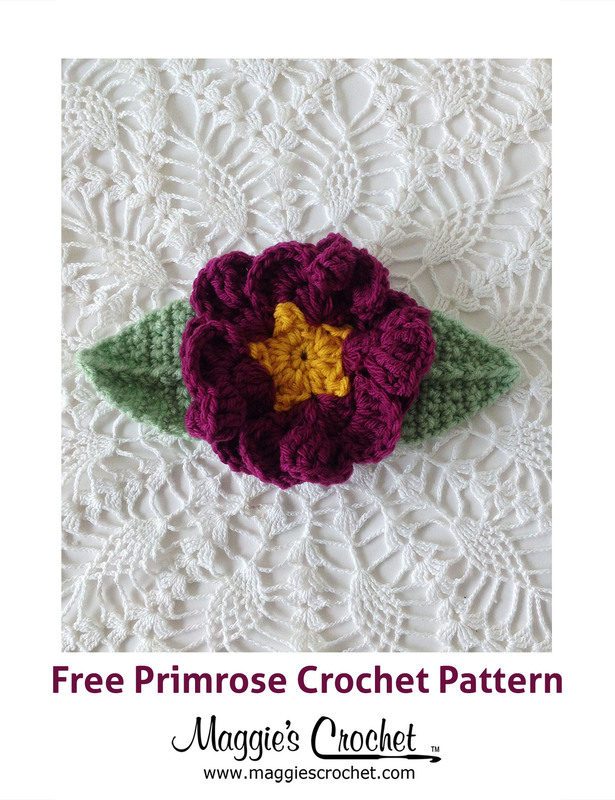 This project is super quick and easy to do, making it a great beginner crochet project. 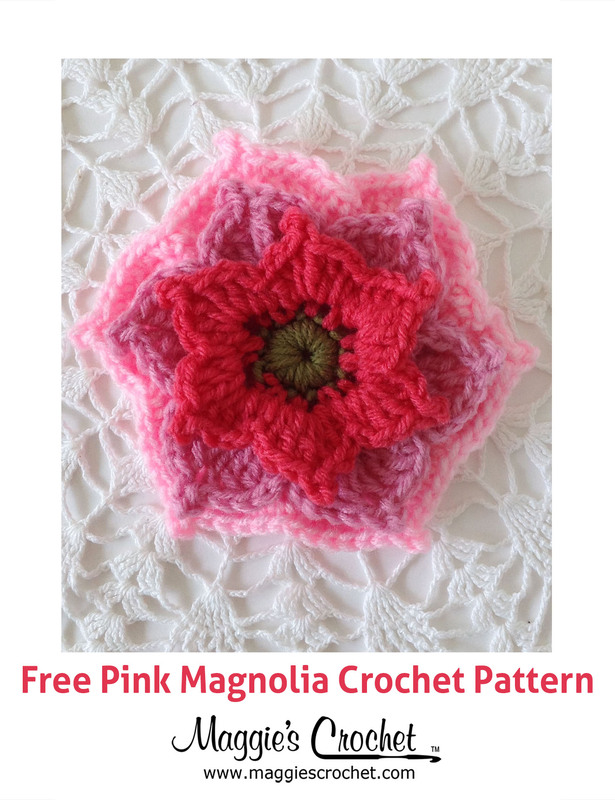 You have time to make several of them for Easter gifts for friends and family. 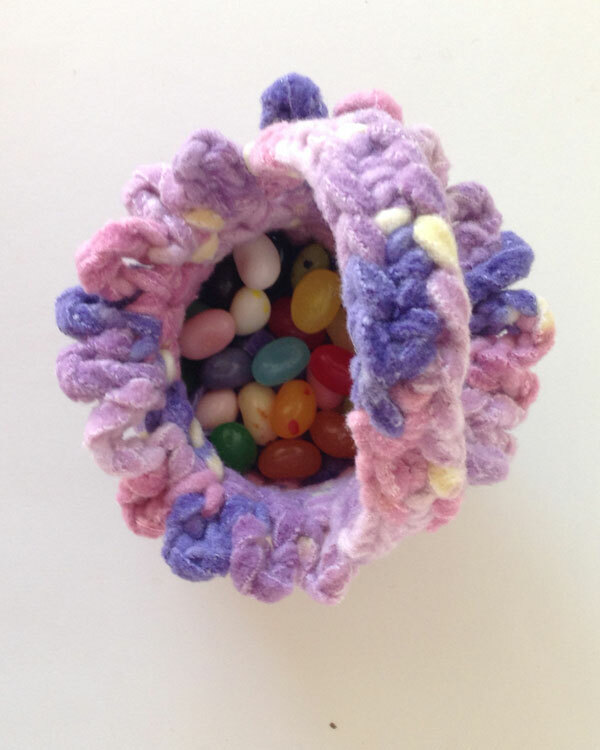 What a special Easter gift! Don’t you just love this project? It’s one of our favorites. 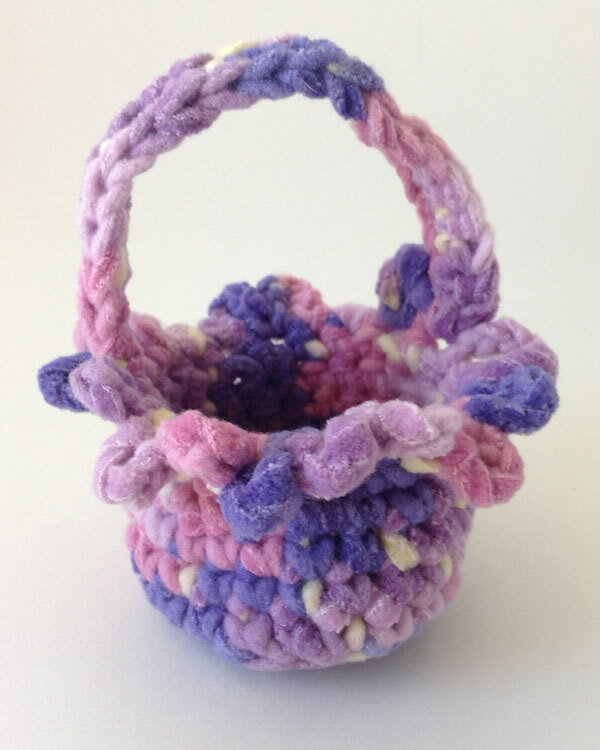 What colors would you choose for this adorable little basket? Who would you make one for? 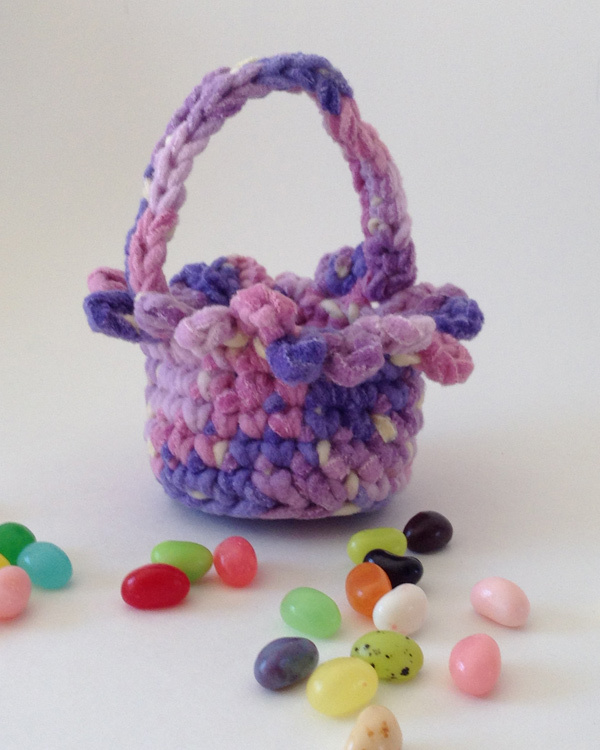 Maybe you’d like to crochet a larger Easter basket. 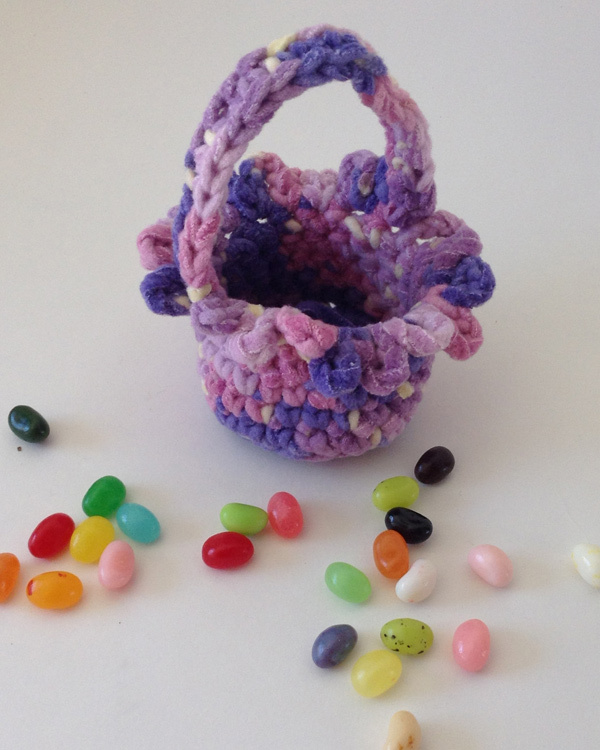 Well, you’re in luck because we also have a crochet pattern for a large Easter basket. Read more about it on the blog post found here.